On Tuesday morning, House Budget Chairman Paul Ryan (R-Wis.) released the Republican budget for the fiscal year 2015. The ambitious plan aims to completely wipe out the deficit in 10 years. However, in order to do this, Ryan is calling for a repeal of the Affordable Care Act, and for deep cuts in domestic and social programs such as Medicare. Of course, Ryan's budget has zero chance of becoming law — it will never get past the Democratic-led Senate. But that doesn't mean it isn't important. It's likely that the GOP will unify around this budget, which Ryan has named the "Path to Prosperity," which pits the GOP as the party that has the answer to the federal deficit. This could become the GOP's rallying-cry for the November 2014 congressional elections, which if current estimates are to be believed, is probably going to deliver the Senate into the hands of the Republican Party. In the budget, Ryan cuts $5.1 trillion in spending over the next 10 years. Around $2.1 trillion of savings would come from nixing Obamacare. "The health-care law has been a costly mistake, so this plan calls for a full replacement," the budget reads. "It clears the way for patient-centered reforms that will help increase access, improve quality, and lower costs." The proposed budget also makes some pretty hefty changes to the Medicare program, which would allow Americans 54 and younger to choose between enrolling in Medicare or receiving a subsidy to buy private health insurance. It would also raise the age of eligibility and means tests for more wealthy seniors. Even members of Ryan's own party have problems with these ideas. Ryan also advocates changes to the structure of the Medicaid program, which would save $732 billion by handing states a lump sum payment, called a "block grant," to pay for health coverage. 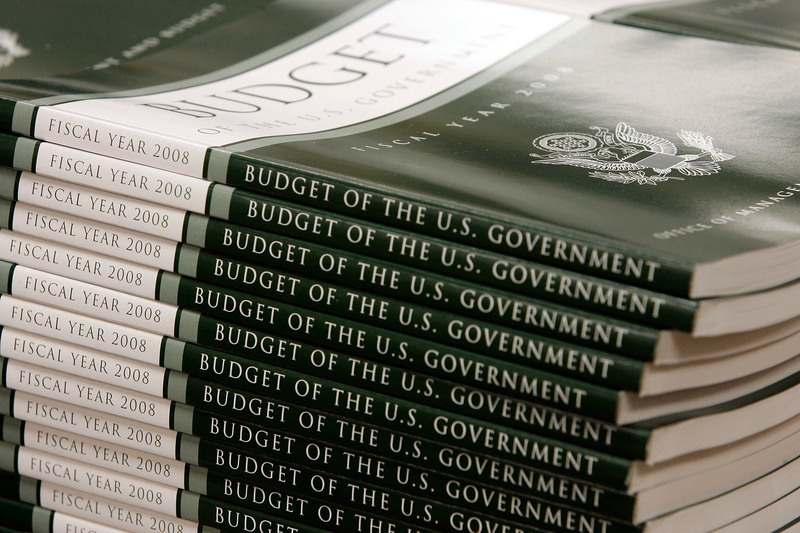 The budget makes hefty cuts to a whole range of other domestic programs, including food stamps, housing subsidies, income assistance and college loan programs. Instead of actually offering any suggestions on how best to cut anti-poverty programs, Ryan appears to be in favor of turning more power over to the states to administer these programs. Ryan's proposed budget generally sticks to the plan he agreed with Senate Budget Committee Chairman Patty Murray (D-Wash.) back in 2012, when he was Republican vice presidential nominee, that set discretionary spending limits for fiscal year 2015. However, after that period, Ryan begins to shift spending away from domestic programs and toward defense. In the fiscal year 2016, Ryan wants to add $43 billion in defense spending, deducting that amount from non-defense spending. In 2021, the budget deducts $95 million from domestic programs and adds $54 billion to the defense budget. The budget includes several items intended to lure Republicans, including proposed reforms to the tax code and taking a swipe at President Barack Obama for not approving the Keystone XL Pipeline project. It also suggests reducing the amount the federal government spends on projects addressing climate change. House Majority Leader Eric Cantor (R-Va.) said the budget is likely to hit the House floor next week. It'll be interesting to see whether Ryan has done enough to win back the 62 Republican votes he lost on the Ryan-Murray deal due to what the voters saw as excessive spending.